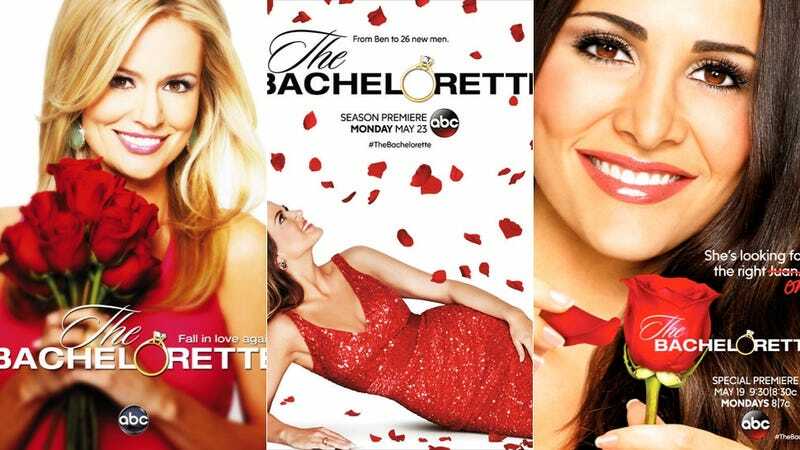 After 21 seasons of The Bachelor, after 12 seasons of The Bachelorette, and after 15 years on the air, ABC will reportedly announce on Jimmy Kimmel Live! Monday night that they’ve cast their first black lead of the franchise. As Reality Steve points out (and as I sadly missed last week), executive producer Mike Fleiss has been dropping hints about this news on Twitter for awhile now. But it wasn’t until reporter Amy Kaufman—who’s currently writing a book on the franchise—tweeted about it Friday that we knew exactly what “historic” meant in this case: that as has been rumored, 31-year-old Dallas attorney Rachel Lindsay, currently starring on Nick Viall’s season of The Bachelor, will become the new Bachelorette. This news is notable for multiple reasons. Quite obviously, first up is ABC’s decision to cast a non-white lead after years of trying to skirt around the racial dynamics of their show. But that point is connected to many others—firstly, the fact that they’re announcing Rachel before she has even been kicked off this season of The Bachelor. The producers also did that when they announced Nick as the new Bachelor in August, but he was merely dating on Bachelor in Paradise, and if you think no one takes the relationships on The Bachelor or Bachelorette seriously, that’s doubly true for Paradise. As I wrote then, it was a smart move on their part: if you think people will tune in to something when they don’t know its outcome, they will also watch something when they do know how it’s going to play out just to see how it does. This decision also shows that the network and show’s production company are slowly but surely responding to the environment around them in ways they could avoid before. It’s become increasingly difficult, with social media and the popularity of a site like Reality Steve’s, for the show to exist in a bubble, and to be non-responsive to the pressures exerted by the outside world on this insular one. Above the years of bad press about how white their show is, those pressures drove the casting of Rachel and her early announcement more than anything else. They want to get ahead of the news cycle and surprise people, and the only way to do that is to break the patterns they’ve held onto for so long (while also increasingly using the franchise as an opportunity to do crossovers with other shows in their roster). Nick and Rachel in New Orleans. Image via ABC. They won’t break every pattern, of course. Apart from the doubt that accompanied years of ABC avoiding supposedly controversial decisions, Rachel was an obvious choice from the get-go. She’s a fan favorite, has gotten a good edit on the show, and fits into their consistent call to cast someone who lasts awhile in the season before they become the lead, allowing for ample time to develop a fanbase. And, romantically, they did it just in time for Valentine’s Day.